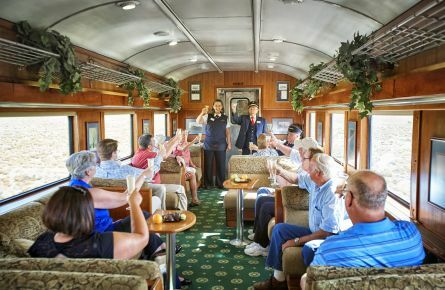 Whether you’re having a corporate function or field trip—or celebrating an anniversary, wedding, or family reunion—Grand Canyon Railway makes it easy to plan your next special occasion or group adventure to the Grand Canyon. Combine the train with a variety of packages that include accommodations in Williams and the canyon, meals, activities and more. Together, you’ll experience one of the great joys left in the world of travel! Leave all the driving to us, and make your group trip to the Grand Canyon even more memorable by traveling aboard a vintage train along a century-old rail line. 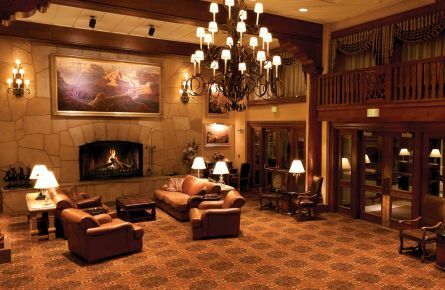 For groups of 20 people or 10 paid rooms or more, the Grand Canyon Railway offers a wide variety of rates and discounts, including train travel, accommodations and meals. For school groups of 20 passengers or more, our special discounted rates will allow you to take your students on the train…and on the trip of a lifetime! Click here to download 2019 rates, and here to download a quick information sheet. Or, click the button below to view our online travel planner. Need meeting or banquet space? A fascinating educational resource for teachers and an exciting learning experience for students. This program allows teachers to introduce their students to the human history of the Grand Canyon by taking them on a journey back in time aboard Grand Canyon Railway. Learn more about The Conductor’s Club by calling 1-800-843-8723 for availability and price quotes.